Russia’s parliament, the Duma, has passed in the first reading amendments that would allow the government to name individuals as “foreign agents,” marking a major expansion of the current law governing non-profits that receive funding from abroad. The law is intended to discourage foreign ownership in Russian language media holdings by allowing the Justice Ministry to target individual owners of media groups and add them to their blacklist. 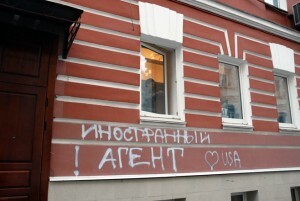 But practically speaking, ambiguities in the proposed legislation allow for individuals who receive money from abroad and distribute information from a so-called foreign agent media within Russia to be named a foreign agents themselves – a major shot across the bow of Russia’s vibrant community of independent bloggers, which emerged in response to the Kremlin’s absorption of official media outlets, and many of whom operate on foreign grants. The proposals could represent an even greater assault on free expression than that, say critics. New requirements that non foreign agent media indicate when they are quoting from a foreign agent source could send chills through even casual users of social media throughout the country. In a political climate where protests are mobilized almost exclusively via Facebook and Twitter, and opposition political candidates, shunned by the Kremlin’s broadcasters and newspapers, must make their case directly on YouTube and Instagram, an added layer of fear and uncertainly about what can and cannot be reposted to social media will help the Kremlin’s unofficial censors do their job. The amendments must pass two more readings in the Duma before they are passed to parliament’s upper house, the Federation Council, which is the last step before it is handed to President Vladimir Putin to become a law. But because all but two of the Duma’s 335 deputies voted in favor of them, it is unlikely that the amendments won’t pass. The new front the Duma is opening against foreign media began in November when lawmakers voted to allow the Justice Ministry to include foreign news organizations on its foreign agent blacklist. Immediately after the law was passed, Radio Free Europe and Voice of America, as well as several of their Siberian and Caucasus affiliates, were added to the foreign agent list. Kremlin friendly lawmakers spent the next month and a half seeking to expand the foreign agent designation for Russian owners of newspapers, radio and television broadcasting services, as well as internet publishers that receive foreign money, subjecting them to the same fines and audits that have primarily plagued Russia’s environmental and human rights nonprofit sector. The original foreign agent law was passed in 2012 and was designed to strangle the work of non-profit organizations operating in Russia that received part of their funding, no matter how insignificant, from international sources. 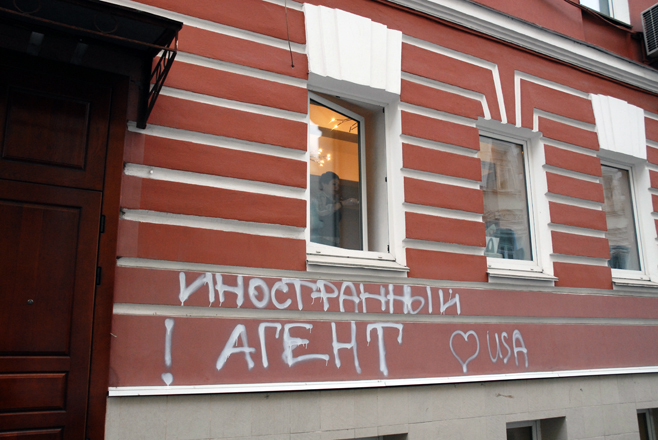 It flowed from Putin’s insistence that the unprecedented street protests that gripped Russian cities prior to his reelection had been the work of US State Department funded rabble rousers. The new amendments to the law, with their ambiguous formulations about what constitutes foreign agent media, seem designed to sow confusion in another election year for Putin – his fourth – when his main opponent, Alexei Navalny, is forced to make his case on social media. Navalny has already been told he can’t run against Putin by Moscow’s election officials, but in March he mounted an 82 city protest against Kremlin corruption using Twitter, Facebook and YouTube. And while Moscow has been reluctant to target social media platforms themselves, creating a hornets’ nest of legal problems for those who use them is the next best thing. Radio Free Europe and Voice of America offered some of the original only Russian-language reporting on the millions of people who turned out against Putin at Navalny’s behest. Now that those two organizations are foreign agents, the Kremlin administration would be foolish not to criminalize distribution of their reporting via the most convenient means.